Wed., May 10, 2017, 5:30 p.m.
NEW YORK – The Associated Press has conducted an in-depth review of its operations in Nazi Germany, concluding that the news agency acted as “forthrightly and independently as possible.” But the review also found AP handled some situations inadequately. The review was undertaken after an article published last year contended that the AP allowed Nazi propagandists to exert some influence over its news photo report in the 1930s by maintaining a photo subsidiary in Germany, registered under a restrictive Nazi press law. The author, historian Harriet Scharnberg, also identified AP German photographers who were drafted into or joined Nazi military propaganda units during World War II, some while still being paid by AP. AP’s review disputed Scharnberg’s conclusion that the news agency was in any way complicit with the Nazi regime during the years 1933-41, when the agency was present in the country. The AP was kicked out of Germany when the United States entered World War II in December 1941. “We recognize that AP should have done some things differently during this period, for example protesting when AP photos were exploited by the Nazis for propaganda within Germany and refusing to employ German photographers with active political affiliations and loyalties,” the report says. “However, suggestions that AP at any point sought to help the Nazis or their heinous cause are simply wrong,” it adds. The report spells out instances in which AP editors clashed with Nazi censors and also demanded that stronger steps be taken to keep the AP German photo service free of Nazi propaganda. It also cites AP reporting in the 1930s that alerted readers in the United States to the acts of anti-Semitism and cruelty of the Nazi regime both in words and photos. AP Executive Editor Sally Buzbee said the AP’s coverage of Nazi Germany reflected its core newsgathering principles. “AP believes it is important to know one’s own story – warts and all – and so we have re-examined the period, taking a hard look,” says the report’s introduction, written by John Daniszewski, AP’s vice president and editor at large for standards. The report was written by Larry Heinzerling, an adjunct assistant professor at the Columbia Graduate School of Journalism and retired AP deputy international editor, with contributions by AP investigative researcher Randy Herschaft. Research began more than a year ago with a review of previously unexamined AP archives. That review was then extended to other records – including U.S. military documents, and the oral histories and personal papers of deceased employees. Scharnberg also was interviewed. The report notes that Louis P. Lochner, the AP’s Berlin bureau chief from 1928-41, was awarded the Pulitzer Prize in 1939 for his comprehensive coverage of the Nazi regime, including the Nazis’ anti-Semitic policies and actions. A German-American and former World War I peace advocate who personally despised the Nazis, Lochner was aware that some critics back home viewed him as pro-Nazi, particularly when he was covering Nazi military victories in the first years of World War II. –AP’s photo captions when they appeared in German media often were rewritten or published under misleading or offensive headlines. While the AP protested and fought against Nazi attempts to censor the AP itself, the review found no evidence that AP protested these abuses by pro-Nazi media. Current AP practice requires a strong response when AP customers willfully distort the meaning of AP content. –After resisting for two years, the AP in late 1935 submitted to an anti-Semitic edict that all people working in German media must be of German “Aryan” origin. AP’s German photo service let go six employees considered Jewish by the Nazis, while helping them to find work elsewhere. “The AP made the difficult decision to comply because it believed it was critical for AP to remain in Germany and gather news and photos during this crucial period,” the report said. With AP’s aid, all of these employees emigrated and survived the Holocaust. –AP’s Berlin-based American reporters and German photographers covered the first part of World War II from 1939-41 from the German side of the battle lines. The United States had not yet entered the war but some of this coverage was criticized from within the U.S. Embassy in Berlin as channeling German official views and disinformation; AP executives in New York assessed the accusations and rejected the criticism, stating that AP reports reflected events as seen by the reporters. 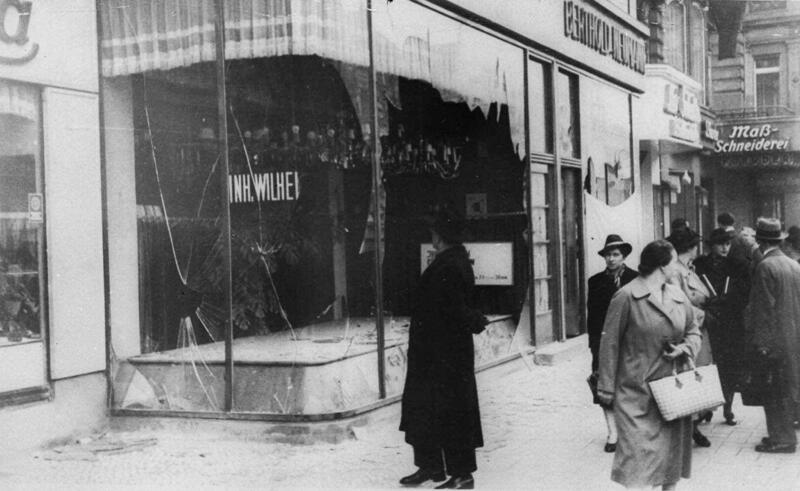 –A few of AP’s German employees held pro-Nazi views and covered the German side of the war enthusiastically. One staff and then freelance photographer employed by the AP German service was Austrian-born Franz Roth, an ardent Nazi who traveled as a war photographer with the Waffen SS to several fronts before and after the AP’s expulsion from Germany. He died as a combat photographer in 1943. –After 1939, the German government drafted several AP German photo service employees to serve with propaganda units accompanying troops to cover the fighting, requiring that the resulting photos be pooled for use by German media while their salaries still were paid by AP Germany. AP management at the time believed their photography had news value in spite of the restrictions caused by traveling with German forces. –With the U.S. entry into the war against Germany in December 1941, AP’s American staff members were arrested and interned for five months before being deported in a prisoner exchange. The AP German picture service was seized, handed over to the German Foreign Ministry and put under control of a Waffen SS photographer, Helmut Laux. Most German former AP personnel were forced into Laux’s operation; others were sent to military units. –In an arrangement reached in neutral Portugal in 1942 between Laux and the local AP correspondent, Laux’s operation gathered and sent regular packets of German-censored photos from Germany and German-occupied Europe to AP’s New York and London office via Lisbon. In exchange, with the knowledge and approval of U.S. wartime officials, AP sent photographs from the U.S. to neutral countries for ultimate distribution inside Germany. The exchange was approved by AP’s New York headquarters and AP annual reports at the time made public that the AP was receiving photos from Nazi German-occupied areas. With one known exception, the AP report says, the AP images that appeared in German publications through this arrangement during the war were unaltered by the Germans, but captions were rewritten by German propagandists to conform to official Nazi views. According to the report, AP’s management in New York considered obtaining the German photos an important way to fulfil its mission to cover the war as comprehensively as possible. Published: May 10, 2017, 5:30 p.m.